RMS Titanic Wooden Model Ship Decorative Kitchen Magnet 4"
Black Pearl Pirates of the Caribbean Pirate Ship Model Magnet 4"
Wooden Black Pearl Pirates of the Caribbean Model Pirate Ship 7"
This Titanic Model Ship Decorative Kitchen Magnet 4" is the perfect gift for the true Titanic enthusiast. With this fully functional kitchen magnet, secure your grocery lists, daily reminders, or even proudly display your children's report cards and awards. 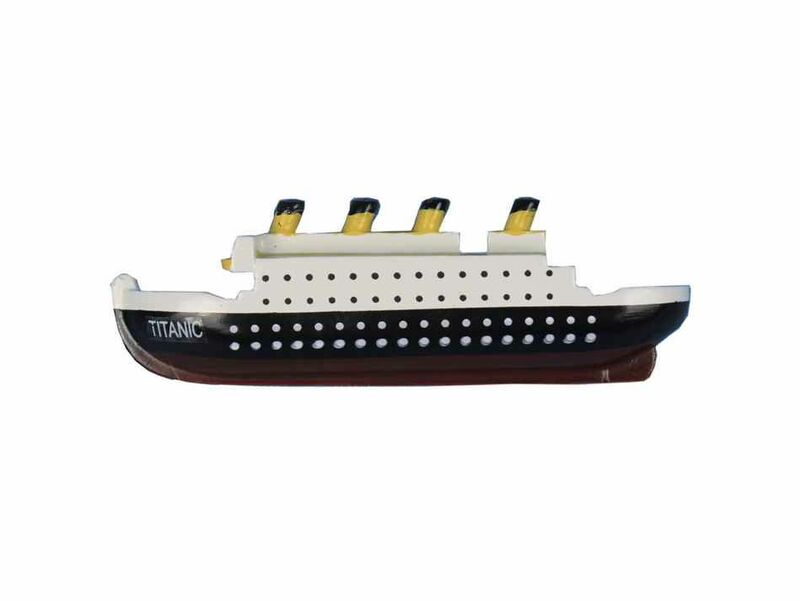 The Titanic Model Ship Kitchen Magnet is handpainted with a strong magnet already installed and ready for use. Display your affinity for the history of the infamous RMS Titanic with this nautical kitchen magnet.